What would it be like if you would make it your intention to be kind and lift people’s spirits? It has been said that we rise by lifting others. There are so many people working in organizations who almost drown in self-doubt. How can they do their best work? They can’t and they won’t. Now what does it mean to be mindful about others? In other words, mindfulness means being aware of the moment and being able to control your experience. How can you you figure out if you have potential to be more mindful? Do you tend to be egocentric? Do you think everything is about you and everyone has to cater to you and your needs? If your honest answer is YES, changing your perspective will help you to live a more meaningful life. Do you appreciate other people’s authenticity? Do you allow people to be who they are? If your honest answer is NO, being aware will help you to get to the next level. Do you think before you speak? Do you really need to say things that may be hurtful to others? If your honest answer is NO, learning to think before you speak is good business practice. Do you evaluate your actions before you do something? Do you think about how your words and actions affect others? If your honest answer is NO, you have literally the potential to change your world. If you are someone who would like to change the world, you can start by changing your world. 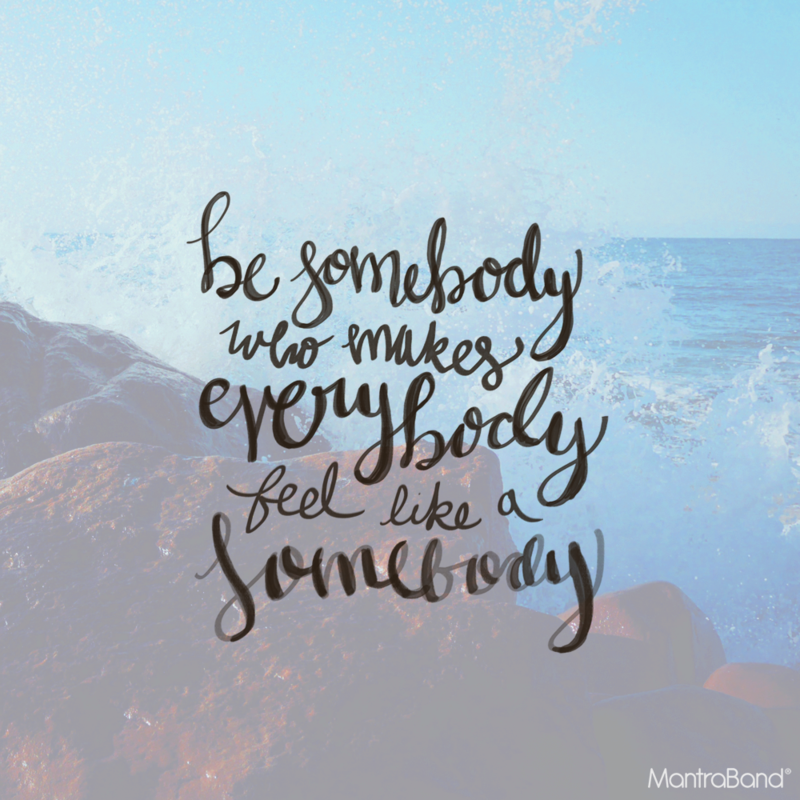 Join me by being somebody who makes everybody feel like a somebody.